As featured in my April newsletter (sign up here), this is a post all about the importance of keeping hydrated. Sooo many clients I see tell me “oh, I know I need to drink more” or “I don’t drink enough”. Consequently, I often focus one of their goals around finding a way to get more water into their day. Of course, drinking enough water is important all year round, but as the weather gets warmer, the amount of water your body loses increases, which means that more needs to be replaced. It is very easy to take the humble tap, hose or water cooler for granted. We typically use water for so much of our daily routine; watering the garden, washing clothes, showering, cooking and drinking. Water plays an important role in many aspects of life, and our body is no exception; we could not live without it. Most of our body is made up of water; our cells, muscles and blood all contain it. Water plays a part in controlling our body temperature, metabolism, heart rate and blood pressure as well as removing waste products and ensuring the concentration of minerals in the blood stays balanced. When this balance is disrupted, processes in the body cannot function properly. 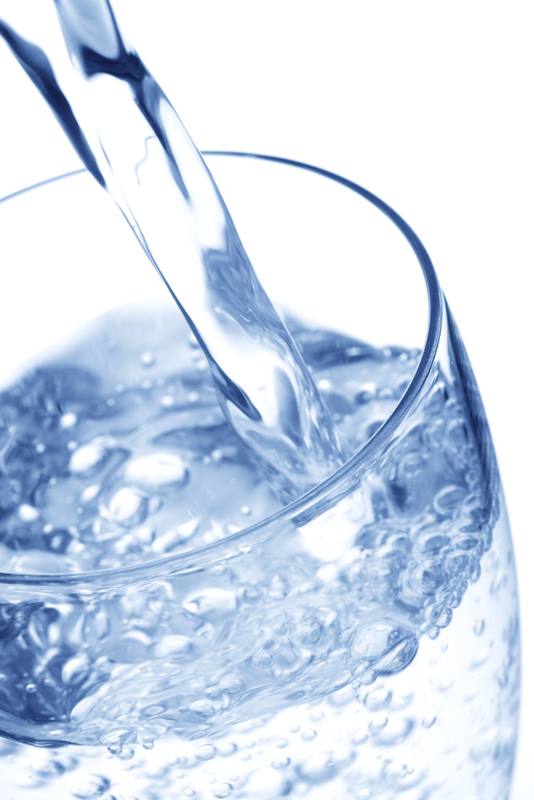 As well as the critical role water has in our general health, drinking plenty can also help with weight management. This is because occasionally our brain mistakes the signals of thirst for hunger. So next time you feel peckish, think about when you last had a glass of water before reaching for the nibbles! What happens when we don’t drink enough? If you lose more fluid that you drink, you will eventually become dehydrated. You lose fluid through breathing, sweating and urinating. However, the amount of fluid that you lose can vary a lot depending on how active you are, your environment and your current state of health. Signs that you are not drinking enough may include: dark coloured urine, not needing to urinate as often as usual, dry mouth, thirst, tiredness and lack of ability to concentrate. This varies depending on how much water you are losing. The hotter it is and more active you are, the more you will need to drink. A loose guide is around 1.2-1.5 litres (or 6-8 glasses). However, the best way to tell if you are drinking enough is by the colour of your urine. It should be a light, straw colour. NB: Try not to wait until you are thirsty to drink as by this point you are already dehydrated! Water is always best to rehydrate you. Milk, diluted squash, fruit juice and soft drinks also count, but watch out for the calories in juices and sugary sodas and the caffeine in teas and coffees (which can have a diuretic effect). Green or herbal teas are a good choice if you prefer something warm. This is a handy way of measuring exactly how much water you are getting through on a daily basis. If you are sat at a desk and have the bottle handy, you are much more likely to take sips throughout the day. It is surprising how far away the water cooler is when you are in the middle of writing that report…! If you are often out and about it is very easy to go hours without drinking. So, it is always a good idea to take a bottle of water with you, especially when on holiday somewhere warm. If you really struggle to get into the habit of drinking water through the day, having a large glass of water with every meal is a good start. Start the day with a large glass of water, drink every time your kids do, set a reminder on your phone to leave your desk every hour for a drink…Find something to set a schedule to and stick to it. It will soon become a habit. If you get bored with the taste of normal water, try adding a slice of lemon, lime or even mint leaves! Green teas taste great too! Like my Facebook page for more handy hints and to keep up to date with my nutrition goings on!